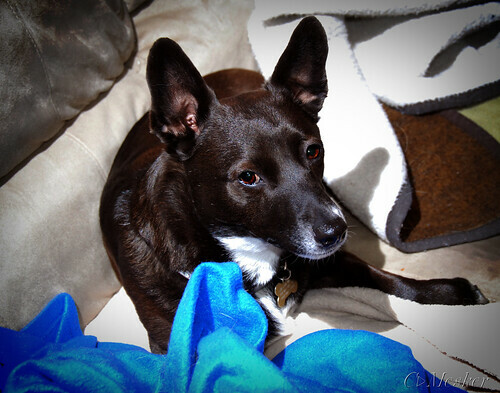 Lois Lane decided to take all the blankets when I got up off the couch – guess she was chilly, too! Sorry for another dog shot, but I’m not feeling up to par tonight and she was just looking too cute. She may be a blanket hog, but she's a cute one! I hope you get to feeling better fast my friend!